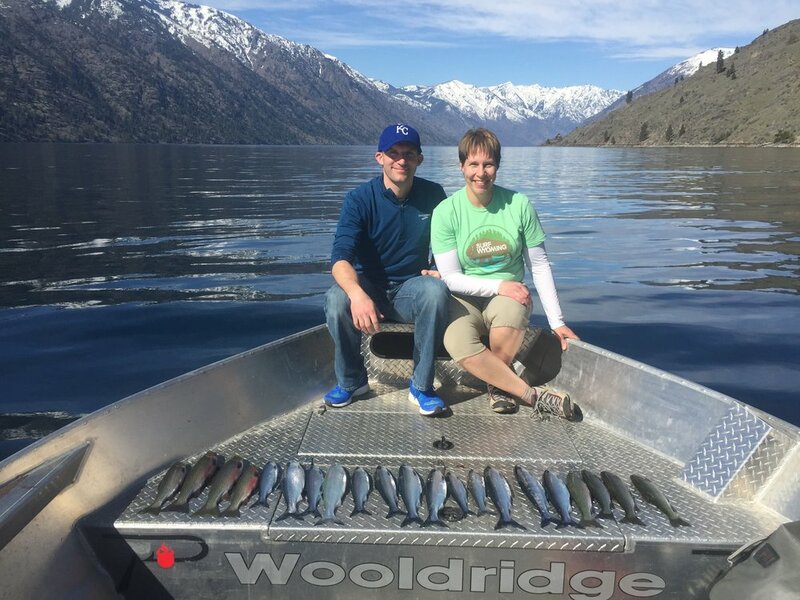 The weather on Lake Chelan has been great and the fishing has been just as good! The time is here to get the kids out and spend a day on beautiful Lake Chelan. The limit is 10 Kokanee a piece and as a bonus another 5 cutthroat also. 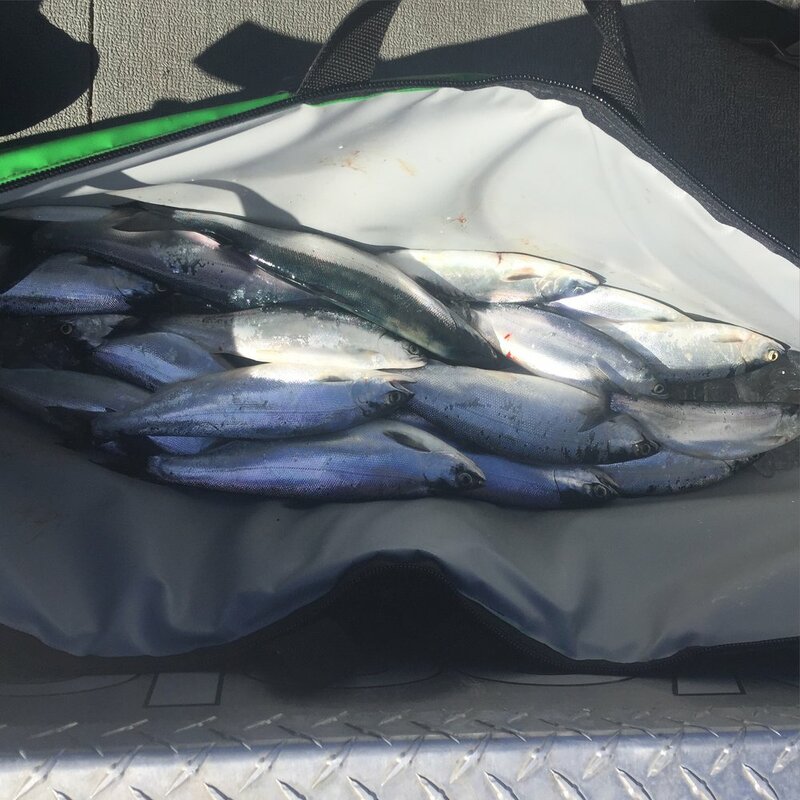 We are catching lots of Kokanee on our 23' Wooldridge boat with plenty of room for all your stuff and even the bbq to grill up a good lunch. We are trolling with down riggers with lots of doubles, triples and even quads! There is nothing as fun as having 4 fish on at the same time all going different directions, it's a fun chaos.You can check us out on Facebook at www.facebook.com/bobberdownguideservice or on the web at www.fishwenatchee.com. Special pricing if you mention this blog I will give you 4 people for the price of three, so that is 4 people all day fishing with all gear included for only $600! You can call me at (509) 670 3095 email at brad@fishwenatchee.com. With summer run fishing days starting to fill up book your summer trips now for summer chinook and sockeye before all the days are booked! Another great salmon season in the books! !